By now you should know that the earth is round. In fact, the earth is an almost perfect sphere. If you look at the picture of the earth (right), you will notice some black parallel lines drawn across the earth’s surface. These lines are known by mariners as latitude lines or parallels. Latitude starts at the equator at 0° (0 degrees) and is measured north or south to the corresponding pole. As you will see, each pole is 90° away from the equator. So, halfway between the equator and the north pole is measured at 45° north latitude and so on. If you look at the next picture of the earth below, you will notice some vertical green lines drawn on the earth’s surface. These lines are known as longitude lines or meridians. Longitude is similar to latitude but it is measured vertically (east - west) from the meridian line that runs through Greenwich, England. The longitude range runs from 0° - 180°. The meridian that is on the opposite side of the globe from Greenwich is known as the International Date Line and is 180° from Greenwich. Used together, latitude and longitude means we can define where we are on earth by specifying latitude and longitude. which equals: North 36 degrees 23 minutes and 35.3623 seconds. One nautical mile is one minute of latitude. One ‘knot’ is one minute of latitude per hour. For example, to go a degree of latitude in an hour you will have to travel at 60 knots. On most Kavas yachts you’ll be lucky to get to 10 knots! In order to make the world ‘flat’ one needs to distort the globe in some way to fit it on the paper. No means is perfect, and over the centuries people have tried different ways. For sailors though the Mercator Projection is the best way to see the world on a chart. In 1569 the Flemish geographer and cartographer Gerardus Mercator published a map for sailors that enabled them to plot a course in straight lines on a chart, a breakthrough for marine travel. Until then, maps were largely drawn for people as guides and were largely pieces of artwork. Mercator’s projection was different – this is a tool for exploration. Instead of the longitude lines diverging at the poles and converging at the Equator, these have been straightened into parallel lines like the latitude lines. The world is therefore not a globe but a square. On today’s charts if you wish to go from island to island on a Greek charter you can draw a straight line on the chart between your point of departure and point of destination. On other projections of the globe this might be impossible, but because the north and south lines are straight, one is plotting one’s course on a flat grid. There are problems with the Mercator projection: Europe appears to be of similar size to Africa, when Europe is just a third the size. This is because the higher latitudes are ‘stretched’ to flatten them out owing to the longitude lines now being straight and not curved. Only around the Equator is the projection accurate as this is where the projection is laid out from – everything north and south seems bigger than it actually is. As discussed above the Mercator chart will have straight lines North / South and East / West. On a chart of the Aegean and Ionian Seas, you will be able to see the world you’re travelling on a flat projection. In most cases these days you will use an electronic chart, whether a Navionics app that runs using the GPS in your tablet or phone, or on the vessel’s electronic navigation system. You will also have paper charts in reserve. While the electronic system will do everything for you, you should have an idea about manual, paper navigation so you know what to do in an emergency – perhaps should you lose your electronics and the boat’s nav aids are out of action. In a recent article Kavas Yachting covered the basics of how to do manual coastal navigation should there be a problem with your electronic navigation aids. That describes how to plot a three-point fix, how to do Dead Reckoning and an Estimated Position. It might be fun for the kids or inexperienced crew to do some manual coastal navigation as you sail on Greek waters. For children it can show them the relevance of trigonometry that they learn in their school maths lessons to the real world! 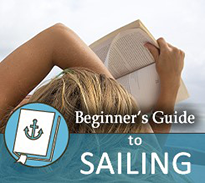 For someone new to sailing it may help to demystify some of the dark arts of seamanship. Here is one example of paper navigation. Most navigation courses will require you to buy or possess a Breton Plotter and a pair of dividers. The Breton Plotter has a compass rose and different lines that can be used for navigation on a chart. At its simplest it is a pair of parallel lines so you can slide it around the chart as you do your calculations. The compass rose is a plastic circle with 360 degrees marked out around it on an oblong piece of plastic that measurements on it. To plot a route from the fairway buoy of your departure harbour to the fairway buoy of your destination you would align North on the Breton Plotter with North on the chart, and then calculate the Variation (this could be 10 degrees or so according to the position of Magnetic North relative to True North – find out in your Nautical Almanac). You then slide the Breton Plotter down to the two harbour buoys and, with the rose pointing Magnetic North, turn the main plotter to the route you will need to travel. You will then be able to read off the course you will need to travel from the plotter compass rose. You would then give appropriate guidance to the helmsman such as, “I need you go sail at course 275,” to head just north of west. To judge the distance of the day’s sailing you will measure off one nautical mile on the latitude scale of the chart with your dividers, and ‘walk’ the dividers along the proposed route. You count the miles and from there gauge how long the day’s sailing will take. A 10 mile route might take a couple of hours while a 20 mile route may take 4-6 depending on the conditions and whether you’re only out to get to the destination or to enjoy the journey itself. As you do your route, you can do three point fixes, EPs and DR to measure just where you are compared to the proposed route. Perhaps you may have an inexperienced helm, or the boat has a lot more leeway than you expected? A fix on the chart can tell you exactly where you are and you can adjust your route accordingly. Your binnacle compass for steering the boat looks for ‘Magnetic North’. Magnetic North is the top of a vast magnetic field that runs from hundreds of miles above the South Pole to hundreds of miles above the North Pole. It protects the Earth from cosmic rays that could otherwise destroy our electronics and give us skin cancers. You can see the Earth’s magnetic field in action when you see the Aurora Borealis in the northern latitude as it interacts with solar particles. For sailors, the magnetic field is brilliant for navigation but there is a slight problem. It doesn’t rigidly sit above the geographical North Pole. It shifts about a little every year (and according to where you are in the world - Lefkada in Greece will be different to Southampton in England on the same day), and every few thousand years actually swaps ends with the South Pole! The shifting of the magnetic pole is known as ‘Variation’. Variation is predictable and using your chart’s compass rose you can find the Variation every year for a given location. This might be 7 degrees West for example. In that case, in order to head due North you would have to adjust your course by 7 degrees East. Deviation is far more local - Deviation is due to the metals on the boat, and will vary from boat to boat. One thing that can alter Deviation is the engine block (a large lump of steel) but other metal structures such as the pushpit guard rails and even the winches can set the compass off a bit. This is measured for every boat, and while it can change according to what other things are on deck, will be reasonably accurate. On your navigation table you will have a Deviation chart. This will tell you the boat’s Deviation for a given course. In making your course calculations you adjust for Variation and Deviation to bring the proposed True North course to the real world course your helms-person will have to steer. If the Deviation is 5 degrees East and the Variation is 7 degrees West you will need to offset the course from 000 to 005 degrees West, and then 007 degrees East from there. That means in order to sail 000 you will in fact need to set a course of 002. If Variation and Deviation are the same direction: 7 degrees West of Variation and 7 degrees West of Deviation, you would set your course to 014 to achieve a True North course of 000. The Global Positioning System (GPS) computes your position using up to eight satellites in space. Your GPS unit will have an ultra-accurate clock and will compare time signals from each satellite, the difference in time they tell compared to your GPS system’s time allowing it to calculate your vertical and horizontal position relative to the satellites. Modern GPS systems don’t just tell you your position but plot it on an electronic chart. You can tell it where you want to go and it will tell you the best route to take. Good ones don’t freak out if the route is in the eye of the wind and will accept that you may have to tack to attain that route, though you can lay off on a large tack over 20 miles instead of narrowly beating to take the optimum course – you’re on a yacht charter not an ocean race! If you are coming sailing with Kavas on a Greek yacht charter, do consider downloading a free navigation app such as the one from Navionics onto your tablet or smartphone. 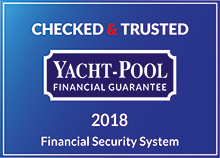 These systems provide very accurate and user-friendly information about the waters you want to sail in. Before coming to Greece you might wish to plan an itinerary for the week or two in advance, researching the islands and towns on your route and deciding where you wish to go and when. These apps allow you to do this, and it will save you having to work things out on the fly.